Discover the wonderful beaches you’ll find in Santa Cruz. 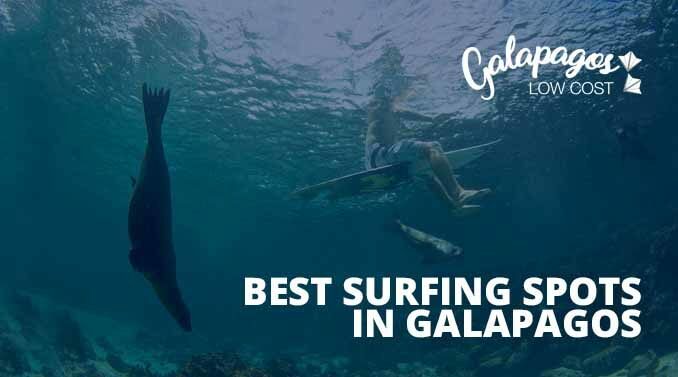 A wide variety of beaches: some with intensive vegetation where iguanas and sea lions come to rest and play, others where surfers find an isolated spot to enjoy amazing waves whether you are a begginer or a pro. 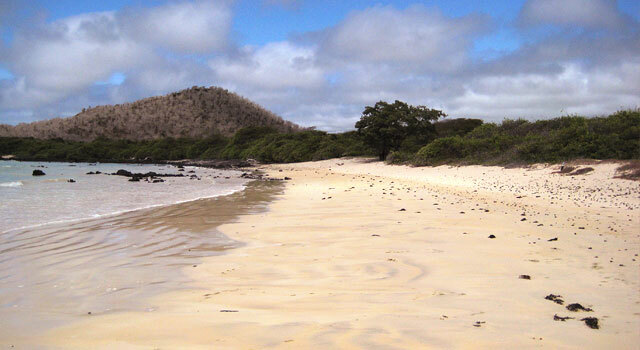 The most famous beach in the Galapagos Islands and one of the top 10 best beaches in the world. Tortuga Bay is an amazing place, and best of all: it’s free. 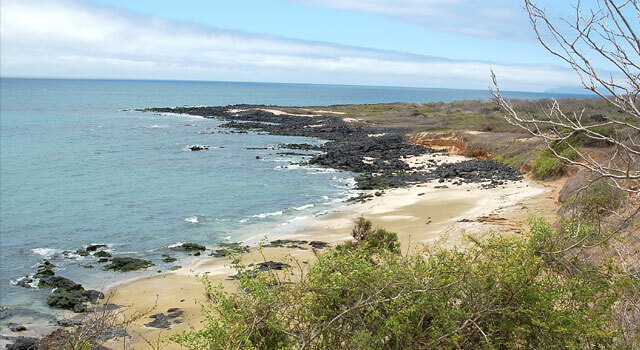 In order to visit most the Galapagos Islands, you should go with a tourist guide from the National Park. However, Tortuga Bay is one of the few spots allowed to be visited by yourself. The price you have to pay will be physical, since you will have to walk around 2.5 Km to get there. The road is a bit long and restless, but the reward of seeing the turquoise sea at the end makes it is totally worthy. What you will see upon arrival is Playa Brava and as you can guess by its name, it is an ideal beach to surf for its powerful waves. So if you are looking to rest on the beach and have a quiet bath, take a deep breath, enjoy of the view and keep walking to the right. There you will find a natural pool where you can swim. If you have your own snorkeling equipment you will see tortoises, sharks, rays and hundreds of fish. The best thing about this beach is not the landscape, nor the colors of the sea, nor the white sand. Besides, you can enjoy all that without sharing it with anyone because there are almost no people. Of course, when we say that there is no one, it means that there is no one, no locals, no street vendors nor stores, so you will have to be prepared with water and food if you plan to spend the day in this wonderful beach. This beach is open to the public until 5.30 pm so you should plan your visit having this in mind. Another way to access Tortuga Bay is by boat from Puerto Ayora. The price is usually around $ 20 round trip. Tortuga Bay is one of the best beaches to surf in the archipelago. In 2018 one of the events of the ALAS Latin Tour tournament, the most important competition in Latin America, was held in this beach. It is the closest beach to Puerto Ayora. 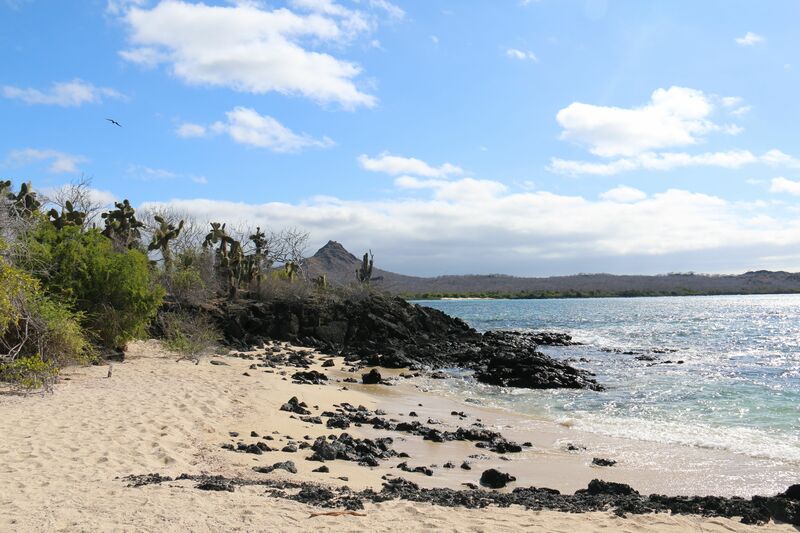 When you spend a few hectic days in Galapagos, with long walks to know all the ins and outs of the archipelago, you will want to enjoy a quiet morning resting on the beach. Playa de los Alemanes (German beach, you can guess why it got that name) is ideal to lay on the sand and enjoy of a peaceful day. The beach is shallow, and iguanas enjoy bathing on the shore and sunbathing among us. Paradisiacal beach that is the home of numerous marine iguanas. Perfect place to make a stop on the way to visit Cerro Mesa. You can get to the beach by taxi that will cost you 10 USD. It is located about 35 minutes from Puerto Ayora. White sand and volcanic rocks are the main features of this beach, which is very close to Puerto Ayora. Ideal to enjoy on the way to Charles Darwin Station. You will find a great variety of animals such as blankets, marine iguanas and sea lions. The beach of Bachas has approximately one kilometer lenght ant contains 2 combined beaches, located in the upper northern part of Santa Cruz. It is one of the main nesting sites for sea turtles and a great place to see flamingos. A variety of migratory and marine birds can be easily spotted in the area, such as blue-footed boobies, swallow-tailed gulls and many more! Cerro Dragón took its name at the beginning of 1975, when it was the only place in Santa Cruz where land iguanas could be found. It´s an arid and dry area with lagoons, where shorebirds and flamingos have found their space on the islands and are really comfortable. Expect a very rocky beach, perfect for snorkeling at high tide. Located on the west coast of Santa Cruz, is this small cove of green sand, originated from volcanic materials, the beach of Bahia Ballena contains a large amount of olivine crystals that were formed when the magma was still underground. A historic place where you can still find ceramic relics.e. 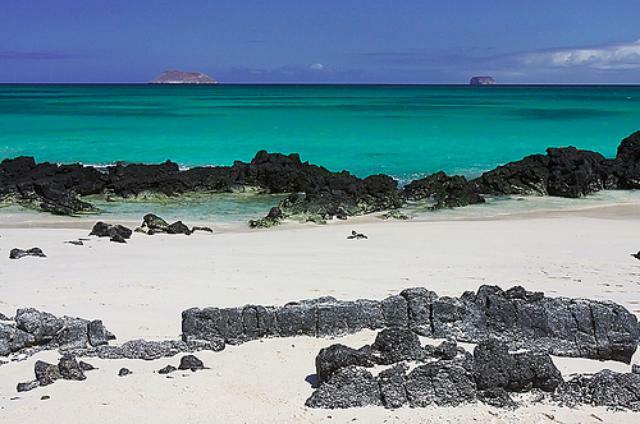 You want to know more about the Galapagos Islands beaches? 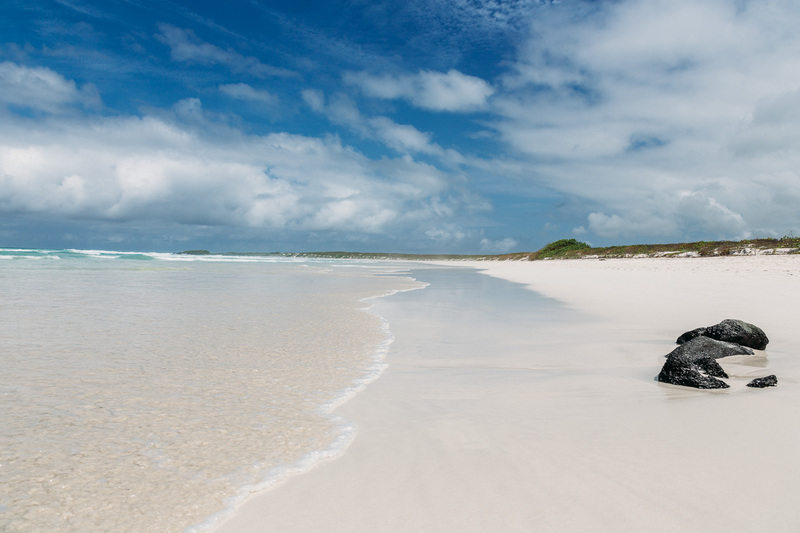 Have a look at Isabela and San Cristobal beaches.